PETALING JAYA: The survival of national carrier Malaysia Airlines has been in the limelight lately as parent shareholder Khazanah Nasional Berhad suffered a whopping RM6.3 billion loss last year for the first time since 2005. It is quite apparent that Khazanah’s restructuring plan for Malaysia Airlines which was announced in 2014 is not working. Khazanah pumped in RM6 billion to turnaround the airline but it seems that the effort was an exercise in futility, with the airline cutting down 3,000 jobs. Khazanah’s restructuring plans included returning the company to the market to be listed in 2018. That remains a distant dream now. The question that begs to be answered today is whether Malaysia needs a national airline? Khazanah spent RM1.38 billion to privatise MAS, RM1.62 billion for the “Old MAS” to “New MAS” transition and RM3 billion for working capital. This meant the government wealth fund has pumped in RM7 billion since the first restructuring of Malaysia Airlines in 2001 and that is basically “sunk cost”. 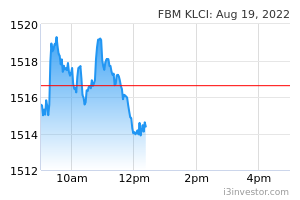 Malaysia Airlines was said to have been mismanaged in the past and the government bought back its shares from its owner, Tajuddin Ramli, who was chairman from 1994 to 2001 at RM8 per share. Its share price before delisting in 2014 was 25 sen.
Head of research at brokerage Inter-Pacific Securities Sdn Bhd, Pong Teng Siew told FMT that there were no compelling reasons for the government to keep the airline afloat. “There are other airlines that can provide the service it provides, why does the government need to continue bankrolling Malaysia Airlines?” asked Pong. The national airline had been hit with high fuel prices and increasing costs. Even when other airlines could register profits while oil prices were low in 2015 and 2016, the national airline struggled. Many fund managers are averse to investing in aviation stocks because there are too many factors beyond control which affect the industry, such as the twin tragedies of MH370 and MH17. Prime Minister Dr Mahathir Mohamad said that the government was weighing its options on whether to close down the airline, sell it or refinance its debts. However, with the government coffers in dire straits, it has limited room to manoeuvre. Meanwhile, the airline continues to bleed. speakup sell it, and give the sales proceed to every and every rakyat malaysia!